Think you or someone you know may qualify for the provisional waiver? Contact us at consults@benachcollopy.com or 202-644-8600. I don’t have any hardship to show except financial situation and I have two kids USA born …. It can. 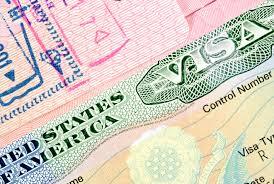 Very often there is a lot of back and forth with the National Visa Center. We can not tell if this is normal or the result of some other problem. We would be happy to discuss in a consultation, which you can schedule by calling 202-644-8600. I have a deportation order. I need to know if a friend qualifies for a work visa.,he plans on moving back to mexico in a few years. Only he wants to be able to work n travel.. n does it help if he was to marry? He doesnt want to marry if he has t. be sent back. My husband does everything right and we turned in many strong evidence of hardship and yet we got denied twice by the same guy. First time we had to send more evidence and we did and then later on we got denied. The second time around he asked for more evidence and resent it, seemed like he didnt really even look at our documents because we got a denial letter shortly after. Our lawyer doesnt understand why he is denying it. I just wish there was something we could do. My husband wants to be here in the us for a better life and yet we have no control over it. To seperate him from our kids would be heartbreaking. You need a new lawyer, because whoever you are using (hopefully an attorney, and not a paralegal gone rogue which many people are using these days because they are cheaper but are unqualified to handle many circumstances that may arise from your application, as well as they operate in a ridiculously unethical grey area) is incompetent. If you do have extreme hardship (and FYI – USCIS does not consider financial hardship extreme hardship), then your lawyer is not handling the RFEs correctly. There is a good chance you do suffer from extreme hardship, but you need a licensed professional to diagnose you in a mental health evaluation – although there lies a lot of grey area there as well…. Hi,my Lawer just fill the I-601 form and I-212 form for me,how long can take to approuve me? Maria, you may have many options. Cancellation of removal (42B) is one, but it requires you to be in deportation proceedings before a judge. We would be happy to consult with you. Please call our office at 202-644-8600 to schedule a consultation. Hi, we have just register for Ciudad Juarez in Mexico for my huband’s visa appointment but we want to apply for the 601A waiver so that he won’t stay in Mexico. Our lawyer said it takes 3-4 for the waiver to be approved and that if the appointment is set before the approval we can reschedule. Is this true? I have read that it can take months for an approval and months to get the appointment rescheduled. I don’t know what true. Can you help? There is a lot going on there. Have you filed the waiver application (I601A)? Are you already scheduled in Juarez? we would be happy to consult with you. To schedule a consultation, please call 202-644-8600. Thanks! You have to apply a 601-A first and have it approved. You don’t schedule your interview NVC will send you a letter with a schedule. Hello I’m a u.s citizen my husband applied for 601 was approved we went to appointment in Juarez he was denied due to he had a felony it didn’t come up with immigration but he was honest and told them he had a felony for using a crooked social security he completed everything when he had the felony including his attorney didn’t go back to change it to lower charge that happened ten years ago it also didn’t come up in his fingerprints we have seven children and I’m ill he was told to do another 601 what are his possibilities of being approved..
Hi. Before he does another 601, you need to be sure that his felony makes him inadmissible. He only needs a waiver if he is inadmissible. To know if that is correct, we need to see the records. With you being ill and having seven children, it sounds like there would be a strong waiver. If you would like to discuss, please call us at 202-644-8600. Thanks. So we are applying for the I-601A waiver, but I was wondering how long does it normally take to process? I see some say they are waiting months and months and have to reschedule their visa appointments which then takes month. My “lawyer” says it will only take a few weeks. What is a good estimated time frame? We submitted the application for the 601A yesterday. For those of you who have applied for the 601A, did you ever receive any acknowledgement that it was received. Our lawyer sent in back in May but nobody has record of it and USCIS said we should have gotten a letter of receipt. I am concerned it was never sent and we have wasted most of this year. The NVC has also reinstated old fees that we paid because it has taken longer than a year since we originally filed. I am currently looking for a new lawyer but am hoping this isn’t abnormal. Yes, you should have received a receipt by now. CIS usually issues them within a month. If you wrote a check, you can see if it has been cashed. hello doing some research, I think I m eligible for adjustment of my status in the USA I been married for five years with a USA citizen we have a 3 year old boy and my mother in law lives with us she is green card holder. I m the main support of the house and we can prove extreme hardship from my wife if I cant come back for a long time. My main concern is if I get approved for the 601a waiver then I go to my home country and they find that my father tried to come without a visa, this will affect their decision over my visa approval ? Hi, my husband was granted his waiver, and had his interview in el salvador on October 5th, 2015. He was approved at the end of his interview. He has not yet received his visa and it has been almost 3 months. Have you had experience with the consulate in el salvador? Have you had any cases in which the wait time for a visa has been over 3 months? What in your experience is normal wait time? Are people who have overstayed on a C1/D1 (crewmans) Visa eligible to file the I601A. Our lawyer says that we have a really good hardship case but is saying we are ineligible to file stateside. That my husband must leave the states and then file the I601. Hi recently my husbands I601A got denied and we are getting ready to resumbit i have a child from previous marriage who receives social security also i have a good payin job before reapplying I want to make sure I have submitted everything in our favor. Is it a possibility being a stay at home mom could end up in our favor? Also could it help my son receives SSI ? I recently got married to an undocumented immigrant, we have been together for about 4 years, both over 40 yrs. Old, don’t want to have children. He has been in the US for about 12 years now . Doesn’t have a criminal record, and never caught crossing border. Both our incomes aren’t that great, and I have debt. Is there a possibility that he might qualify for a waiver, or an adjustment of status? Hi, I am an American Citizen and my wife filed for a I-601A. I noticed today on the USCIS that they sent us a RFE. I spoke to my attorney who told me not to worry about it since this procedure is somewhat normal? Is that right? A lot of cases get RFEs. It could mean a wide variety of things from the serious to the benign. Not much to do until you see what they have to say. Hi, my husband was a permanent resident (political refugee) since 9 yrs old in the US. He entered the US legally. He did get in trouble at age 18 and was given probation, which he completed, with no violations. He is now 33 yrs old. His entire family are American citizens, I am a US citizen and he has 3 American children . he was deported to Honduras in 2014, and because of fear for his life, he fled to Guatemala, and my children and I joined him shortly after. He was legally in the states since 1994. Wondering if a waiver is an option for us to reapply before his 10yr ban is up? Any advice appreciated. Hi, That is a complicated scenario. We would be happy to discuss it in a consultation. You can schedule a time to discuss by calling 202-644-8600 or sending an email to consult@benachcollopy.com. I am a u.s. citizen I have a approved i130 and is now in NVC processing. My husband entered illegally in the U.S. everything shows he is eligible for this waiver so we are filling out i601A, for the information asking to write about the hardship I the spouse would endure, is it me the u.s.citizen who writes this letter to USCIS or is it my illegal husband. My husband just received his interview letter with a date of August 2016. However I just found out about the form I-160A that he is eligible to pursue. How do I get my interview postponed until this form is sent in a hopefully approved? What do I need to do to be sure and get this form completed before my scheduled interview? Thank you! Hi. Thanks for writing. I think it is important that you consult with a lawyer. We would be happy to discuss with you. Please call us at 202-644-8600 to schedule a time to chat. Thanks. Hi, I’m a US Citizen and I submitted 1-130 forms for my mom, my dad, my younger brother, and younger sister in 2009. My parents had the visa interview in Ciudad Juarez in Sept 2015; my mother was granted the immigrant visa; however, my father wasn’t. He had to complete and submit an I-601 waiver. I submitted the waiver in January 2016 but to date, I have not received anything… not even a receipt. I sent a check and the check was cashed…. So I have to questions: 1) How do I get status of my father’s waiver and 2) How can my mother petition for my younger brother and sister to come to the USA sooner as she is now a permanent resident? I received a receipt for their petitions in March of 2010 and I know it takes longer for brothers and sisters. Thank you in advance for your time. Hello – I filed an I-130 spouse petition for a former student of mine who married an “illegal alien” almost 5 years ago. Everything has gone smoothly with the process and they have an interview scheduled in Cd. Juarez on the 25th or August. All of a sudden, she has had an attack of nerves about her husband being detained in Mexico after the interview because he doesn’t have an I-601a waiver. She found this out after consulting a lawyer. Mind you, this has never come up or been mentioned in my contacts with DHS & the NVC about their case or paperwork – and it clearly shows that he has been in the US “without inspection” continuously for over 15 years now. I see no “horror stories” on the internet about people being detained without it, or about this being a “trap” laid by the government in revenge for those who entered the country illegally. So what do I do? The person I don’t trust here is the attorney, but then, if there IS something to this, it will probably take an attorney to get a continuance or postponement of their appointment in order to file an I-601a & receive an approval before proceeding with the interview. Just the stuff an attorney loves to charge hefty fees for…! Everything I have read about this law (or “provision”) seems tentative, in that it uses the words “might” & “may” be detained or denied entry, etc… Nothing definite or “cut & dried”. Her husband is a good man without any tickets or criminal behavior or encounters with the police; and he has never left the country since entering. He is employed as a restaurant assistant manager & provides nicely for his wife’s tuition & costs in nursing school. If he were denied entry it would really do serious damage to their financial situation, plans for a baby & his wife’s education. Thanks for writing. If he entered illegally and remained in the U.S. for more than 365 days and he leaves the U.S., he will not be able to obtain a visa for a period of ten years. If that is the case, he can apply in advance for the I601A provisional waiver or he can apply for a standard waiver in Juarez after being denied a visa. In the latter case, he will be unable until it is approved, if it is approved. That could be up to a year. So, yes, there may be a serious risk that he would be stuck in Mexico for a prolonged period of time if he entered illegally, remained for more than a year, and departed the U.S. for the interview in Mexico. And, yes, there are fees involved in a waiver. They are a lot of work and take a lot of time, so fees are calculated commensurate to the size of the job. We would be happy to discuss. You can call our office at 202-644-8600 to schedule a consultation. My husband was approved for 601a in 2013. But since he lived in USA for 24 years he was scared to go back to his country. Finally in 2016 we decided to go a hard with the next step. His interview was in august. Interview went fine all the paperwork was there,but since 601a was 2.5 years old they told him that they will email him about next step since they have to confirm with Washington. How long can that take??? Hello I filled both I 130 and i485 in September. Two weeks later we received our receipt and a week after we received biometrics appointment for my spouse on Oct 18 2016 and 3 days later a request of evidence i864 which o have filed with a joint sponsor and household i864a. And it’s asking to submit evidence that he entered legally into the us but he came back in 2001 at the age of 9. He currently has DACA, work permit to work in the us since 2013. he is the only one working since we had a daughter last year and i have no family here in Washington who os available to take care of her, while I work. I have consulted with a lawyer who says I can file I 601a. My question is do I file ot even of we haven’t had our interview. And what exactly is the purpose of this form would he still have to leave the us? Because he doesn’t want to do that. Thanks for writing. I think there may be an easier approach than filing the I-601A, which can only be filed after the I-130 has been approved. I suggest you come in and meet with one of our attorneys and discuss the best way to proceed. Hey I am a single 20 year old DACA student with no criminal record. I have been in the US since 2001 and never left the US since. I enter the US illegally. I have US citizen siblings but the oldest is 15 years old. I was wondering if there is any way for me to become a US permanent residient or US citizen? There is a lot to consider and we can not tell for certain whether you may have other options. We advise that you schedule a time to meet with one of our attorneys to discuss your particular situation. We are offering reduced fee consultations for those with DACA. You can call our office on Monday at 202-644-8600. Thanks. Whether he can apply for adjustment of status depend upon what was filed for him and when. If he is eligible for 245(I), he should not need the I-601A provisional waiver. He may need other waivers. We recommend that you schedule a time to discuss your case with an immigration lawyer. You can call our office Monday at 202-644-8600. I am really sorry to hear this. Conviction of possession of marijuana is a ground of inadmissibility and is not waived by the provisional waiver. He must now seek a 212(h) waiver at Juarez and it will be several months before the waiver is decided. Please feel free to reach out at 202-644-8600 to discuss. My husband’s I601a was just approved. He has been in US for 26 yrs. Good record here. No arrests. We are only nervous for interview because he had a charge in Mexico years ago, when he was 24. In jail one month. His lawyer doesn’t want to bring it up unless they do. Isn’t there a requirement to go get your own records, while in MX, and bring to interview? How might this affect his interview? There is an obligation to reveal any arrest, charges or convictions anywhere in the world, so the lawyer’s advice concerns me. He will need some sort of record and could wind up inadmissible for it. Best to figure out what is going on before he leaves for Juarez. I would be happy to discuss it further with you. Please call 202-644-8600, if you are interested.